RSVPs are required. RSVP here. 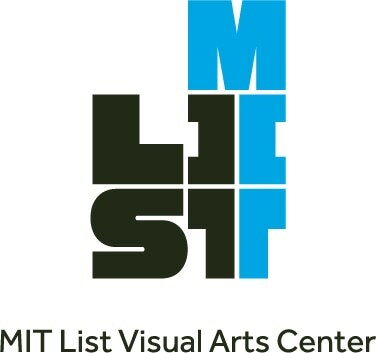 In conjunction with Introducing Tony Conrad: A Retrospective, MIT List Visual Arts Center and Non-Event host an evening of experimental sound performances by close friends and collaborators of Tony Conrad who was associated with the founding of minimal music: Henry Flynt (7 PM), Lary 7 (8 PM), and Damon & Naomi (9 PM). In the early 1960’s, along with John Cale, Angus Maclise, Lamonte Young, and Marian Zazeela, Conrad was a co-founder of the Theater of Eternal Music, which utilized non-Western musical forms and sustained sound to produce what they called dream music. Henry Flynt and Tony Conrad met as Harvard undergraduates at the point when each artist denounced traditional forms of composition and began to develop more experimental sound scores. Flynt will kick off the evening with a performance of his piece, “Everylovin’ Game On.” Lary 7 was a student of Tony Conrad’s and the two performed together often. Lary 7 will perform Tony Conrad’s Three Loops for Performers and Tape Recorders (1961), which is one of Conrad’s earliest pieces. It was premiered at a Harvard-Radcliffe Music Club concert with Conrad among one of eight performers. The evening will end with an after-party performance by dream pop duo Damon & Naomi who navigate small sonic spaces and woeful melodies with an acoustic sound. Henry Flynt was born in Greensboro, NC. He is a philosopher, musician, anti-art activist and exhibited artist. Lary 7 was born in Buffalo, New York. Lary 7 is a multimedia artist who coaxes profane, inscrutable sounds and images from various mysterious devices. Eschewing the digital, his work mainly features vintage and forgotten electronic instruments and technologies. In the past he has taken the unique approach of modifying household appliances in order to give them a musical voice. Lary is a co-founder of Plastickville Records and has been a major figure in the New York experimental underground music scene since 1970. He has worked on exceptional musical projects with diverse artists including Jimi Tenor, Jarboe, Foetus, Tony Conrad, Alexander Hacke, Larry Mullins, Dorit Chrysler, Bernhard Gal, Jacob Kirkegaard, Gen Ken Montgomery, and Gordon Monahan. Damon Krukowski and Naomi Yang started playing music together as the rhythm section, co-songwriters, and sometime singers in Galaxie 500. When that band ended, they continued as a duo, first recording for Shimmy Disc and then on a series of albums for Sub Pop Records. In 2005, they formed their own label (20/20/20) and have since released four further Damon & Naomi albums – The Earth Is Blue, Within These Walls, False Beats and True Hearts, and Fortune – alongside reissues of their own and the Galaxie 500 back catalogue.